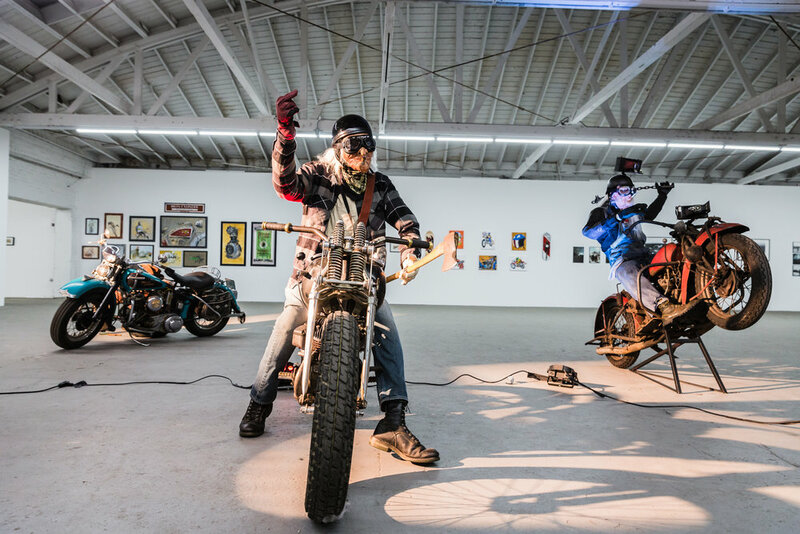 The OG Moto Art Gallery is a pop-up art gallery curated by John Pangilinan that immerses attendees into the creative side of motorcycle culture. The gallery celebrates the visual artists and their talents through their elected medium, whether by paint brush, ink, camera, etc. to communicate their passion for motorcycles and the lifestyle surrounding it. The OG Moto Art Gallery showcases the work of artists and photographers from around the world.